Helping our kids and teens remain healthy and safe off and online, can be a daunting challenge today! 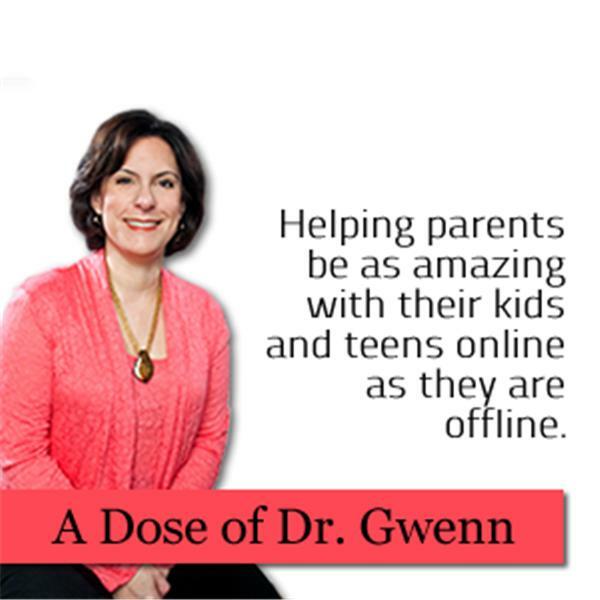 Join Dr. Gwenn, mom, pediatrician, & noted cyber-world expert as she helps us demystify the interweaving child health, parenting and digital worlds. Tips and ideas to have the best safe, fun and unplugged summer for you and your family! Do you know what COPPA means and how it applies to your family? Tune in this week to find out, and learn to use it to keep your kids safe and sound online. Do you know where your family leaves their digital footprints? Check out this week's show to learn how to track them down, keep tabs, and keep everyone safe and sound! I recent had 2 weeks nearly unplugged, including some unplugged time with my kids - and survived! Tune into to hear about my ups, downs and lessons learned. Show 21: Moms Who Rock! Turn Off Week always falls during Spring Vacation. Tune in as I talk about ways to deconnect and why the timing is perfect for your family! Show 17: Bullies In Your Back Yard 1, Take 2! Stopping It Today!! Bullying is on the rise and putting all our kids at risk, on and off line. Tune in to this week's show to learn the ins and outs of this important issues. This is part one of a series on bullying...how to prevent it, stop it and help our kids!